If you are looking for information on the Shield Security franchise business opportunity, Shield Security franchises or Shield Security franchising, then you have come to the right place. Crime doesn't pay but preventing it is a different story. SHIELD® Security Systems specializes in the sale, installation and monitoring of burglar alarms, fire alarms and other electronic security. To stop a thief, it helps to think like a thief...only smarter. SHIELD® Security Systems does. We are pros with years of experience in designing security systems that deter and detect a host of emergency situations. 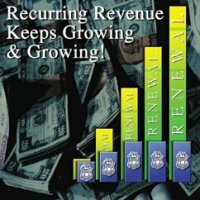 Apply your entrepreneurial skills to develop wealth and a secure future with recurring revenue from long-term customers in a recession-proof industry. The security industry has shown continuous growth and is expected to top $200 billion this year. Burglaries occur every 15 seconds, yet 95% of all households do not have alarm systems. Fires accounted for $12.6 billion in property damages in 1999. You can operate from your office or home with low inventory requirements, low overhead and high margins. Triple income streams flow from security sales, service and monitoring revenues. A tremendous level of repeat business, where 98% of our customers renew our monitoring services for 8 to 10 years, ensures that you can confidently sustain a solid, loyal client base. We service your customers for you - our 24/7 central station immediately takes charge and notifies local authorities when an emergency situation occurs at your client's property. We're experienced... so you don't have to be. We provide all the tools you need to succeed. You don't need any technical experience to own a SHIELD® Security Systems franchise. We will teach you everything you need to know and provide the resources to fully operate your business. SHIELD's comprehensive training program was designed to get you and your franchise up and running in a short period of time. Our no-nonsense commitment to continuous support means you'll know exactly where to go when a question arises. Think of us as a security blanket for your financial future. Complete the short form below and we will tell you more about how you can start your own business with SHIELD. Unit and conversion franchises are available throughout North America. We also have master franchise opportunities in select international markets.